Researchers from Lindberg International, commissioned by Arla Foods Ingredients, questioned 2,649 consumers who exercise for more than three hours a week about their use of, and knowledge about, whey protein. Respondents were located in the US, UK, Brazil, Germany and Japan. Nearly half of them (48%) said they had heard of whey protein hydrolysates and, within this group, 60% said they believed them to be better than standard whey proteins. Meanwhile, 29% didn’t know whether or not they were better, and only 11% thought they were no better. The results showed that, on average, those who had heard of whey protein hydrolysates consume them eight times per month. Most respondents (81%) said they consume them at least once a month, and nearly a quarter (22%) said they consume them 11 or more times per month. The findings from the survey are presented in a new report published by Arla Foods Ingredients: ‘Awareness and perceptions of whey protein hydrolysates among active populations in the US, UK, Brazil, Germany and Japan’. Researchers also asked those respondents who were aware of whey protein hydrolysates to pick a benefit associated with them. A third (34%) said ‘muscle building’, 29% cited ‘faster absorption into the muscles’, 24% selected ‘muscle recovery’ and 13% said ‘increased performance’. Whey protein hydrolysates are premium proteins that have been finely chopped – or ‘pre-digested’ – so they are absorbed more quickly by the body than standard proteins. This ensures they get to work faster on helping the muscles recover after exercise. In particular, they offer a range of benefits that will appeal directly to serious users of sports nutrition. These include easy digestion, fast absorption, rapid delivery of the key amino acids for muscle building and increased fat burn for improved body composition. 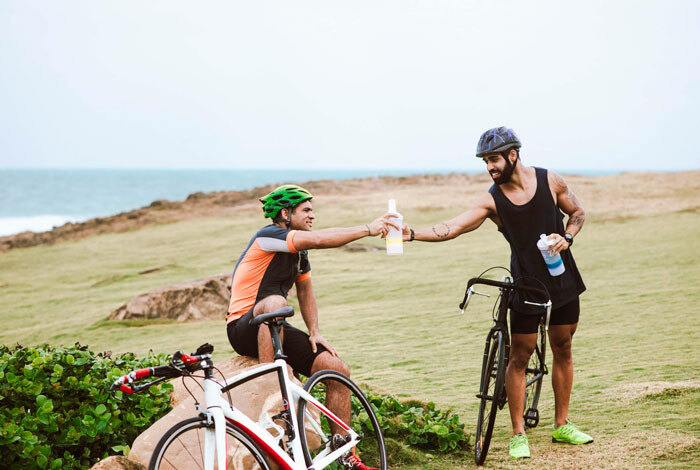 For sport nutrition manufacturers, whey protein hydrolysates offer a wide range of functional benefits, providing a key ingredient for producing truly crystal clear protein drinks, for adding protein into sports gels, and for increasing the softness and shelf life of protein bars. Arla Foods Ingredients will highlight its portfolio of whey protein hydrolysates for sports nutrition on Booth #HH171 at the forthcoming SupplySide West Expo, which takes place in Las Vegas from 27-28 September 2017. Also at Supply Side West 2017, Arla Foods Ingredients will showcase Lacprodan® SoftBar, a new compound including whey protein hydrolysates that ensures protein bars retain a softer, indulgent, cohesive texture for 12 months or more in ambient storage conditions. The ingredient is all-natural and derived from cows’ milk – helping to keep the recipe simple and ensure consumer demand for clean and clear labels is met. Awareness and perception of whey protein hydrolysates among active populations in the US, UK, Brazil, Germany and Japan (2017). Survey of 2,649 male and female consumers who exercise 3 hours or more per week: 660 in the USA, 518 in Brazil, 507 in Japan, 489 in the UK and 475 in Germany. Research conducted online by Lindberg International in May 2017.